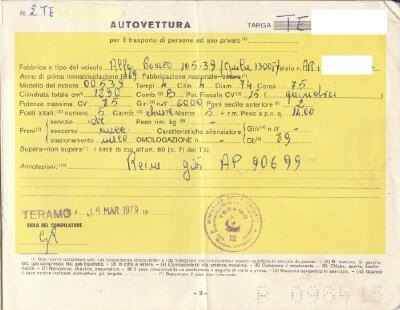 1971 Alfa Romeo Giulia TI Registration Papers. 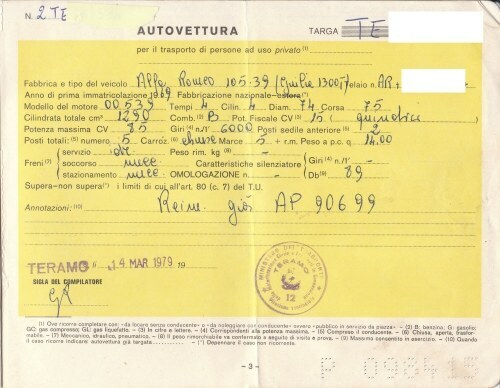 These are the original Italian registration papers for an Alfa Romeo Giulia TI, dated March 14, 1979. 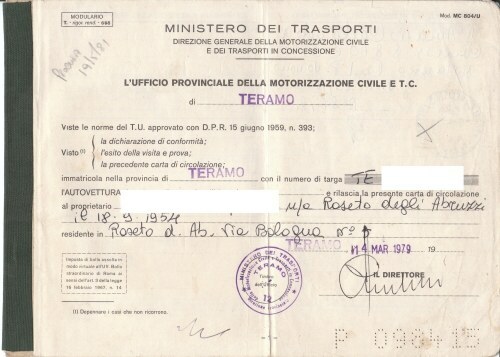 We are selling this "libretto" as a collectible and it is NOT to be used to give an existing car a new identity! 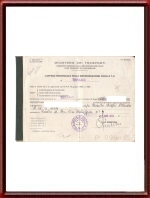 Please note that in the scans, we have digitally erased some privacy-sensitive data. The data is of course still present on the original.